Nebraska Brick Days 2018 will be held at the Mid-America Center in Council Bluffs - Saturday March 10th (10:00 am - 6:00 pm) and Sunday March 11th (10:00 am - 5:00 pm). General Admission is $8.00. Children 8 and under is $5.00. General Admission ticket holders have the ability to look at creations from LOLUG, KCBL (Kansas City Brick Lab), ArkLUG (Arkansas LEGO User Group), Brickmania, NILTC (Northern Illinois LEGO Train Club) and more to be announced. You can also spend hours playing with LEGO 2x4 brick and building something awesome!. Build a car or truck at the creator station and send it down the LEGO Speed Champions ramp! With your ticket you can also play LEGO Bingo for incredible LEGO prizes. Spend time looking at the vendors selling incredible LEGO products - HobbyTown, Brickmania, and Brickcrafts! Do you think you are the best LEGO builder in the area? Prove it by purchasing the "Full Access" ticket for $25.00. 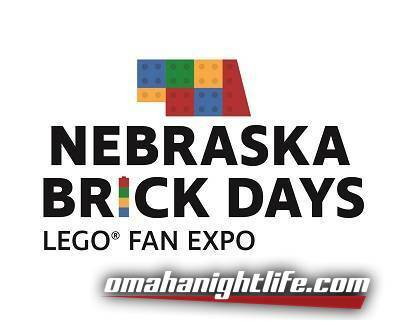 This ticket allows you into Nebraska Brick Days for the entire weekend with the ability to display your creation for LEGO Built Awards! Also included with your ticket is your registration for the Mini-Fig Speed Build and Brickbuilt Derby. With your "Full Access" ticket you are automatically registered for a raffle for LEGO sets! Lastly if you are displaying a creation at the event; your ticket includes a gift bag with exclusive Nebraska Brick Days swag! The General Admission ticket holder can also participate in the Mini-Fig Speed Build competition or Brick Built Derby for an additional $5.00 per event. General Admission ticket holders are not allowed to display a creation. Brick Built Derby will be held on Sunday March 11th. Brick Built Derby and is sponsored by the Museum of American Speed. LEGO Bingo will be held all weekend long! Brickmania's USS Missouri will be docking at the event and the creation is a must see for any LEGO or history fan! We encourage general admission to pre-purchase tickets as we will have a fast pass line operating at Brick Days to avoid long waits to enter the venue. Please like and share our post to spread the word about this incredible event so all LEGO fans can come have fun!